Thank You for Making Demolition 2015 a Success! NDA’s 42nd Annual Convention and Expo, Demolition 2015, came to a close on Tuesday, March 24 after four days of creating valuable connections within the demolition industry. 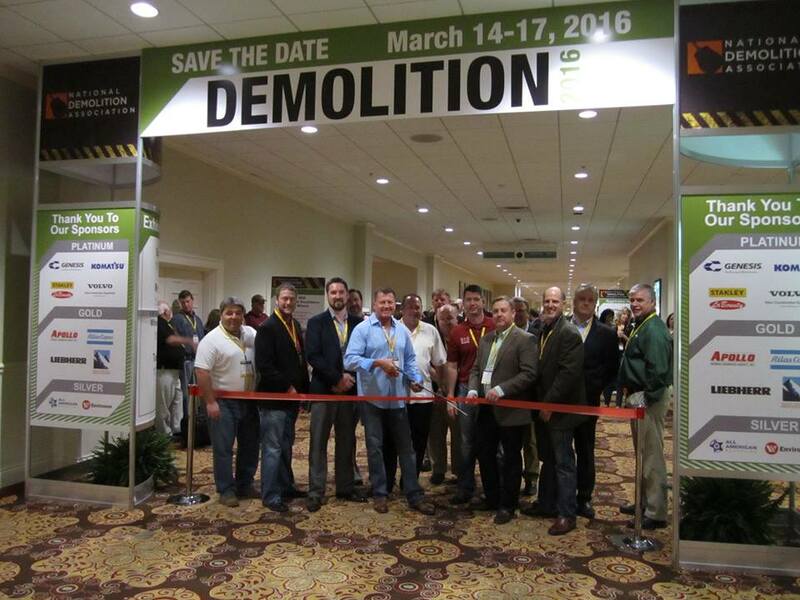 Attendees and exhibitors gathered in Nashville, Tennessee, to network, learn and celebrate accomplishments in demolition. Demolition 2015 highlighted NDA’s strong focus on industry education and provided demolition professionals the chance to connect with their peers in the industry. To view photos from the Convention, visit NDA’s Facebook page. New Orleans' blight enforcement process picked up steam in 2014, increasing the number of properties inspected, brought to hearing and ultimately forced into compliance. Testifying before the City Council's Community Development Committee, Code Enforcement Director Pura Bascos said the city is making great strides in improving the office's efficiency while working to remove "bottlenecks" that are slowing down the process. There was a time when the popular preference for doing away with Candlestick Park was for a spectacular implosion, much like has been done with other stadiums — with the signature moment captured in videos and photos. However, with the decision to dismantle the 'Stick piece-by-piece instead of in one fell swoop, the slow-motion disintegration is providing many moments and images to record as longtime fans reflect on end of the Candlestick era. One of the biggest — and potentially more emotional — parts of the Daytona Rising project is taking place today at Daytona International Speedway. The dismantling of the Sprint Tower section of the DIS grandstands, including the press box, began March 25, the latest part of the $400 million Daytona Rising transformation of DIS, which was first opened in 1959. Glenridge Hall, a majestic 86-year-old Sandy Springs, Georgia, mansion, has hosted private benefits, film shoots, and weddings since being restored in the 1980s. But potential plans for a new residential development could lead to the historic site’s demolition. Active assailants are a risk that every employer is aware of these days. On March 27, award-winning law enforcement professional Bill Gage presented an all-new webinar titled "Active Assailants in the Workplace: 5 Ways to Increase Employees’ Chance of Survival." Ahead of this event, Gage took time to provide his expert insights on many commonly asked questions about workplace safety and security. Total construction for 2015 is predicted to grow 8 percent according to the latest report from FMI. This supports earlier FMI predictions that construction will top $1 trillion in 2015, something the market has not seen since 2008. This indicates that the economy is on track for a resilient recovery. Use of reclaimed asphalt pavement is ubiquitous in road construction. This is confirmed in the National Asphalt Pavement Association’s latest annual asphalt pavement survey, which found that in 2013 all 249 U.S. companies polled in used RAP in warm mix asphalt. The advantages of using RAP are twofold: significant cost savings because of the reduced use of more expensive virgin asphalt material, and environmental, reduced need of landfill space reserved for used asphalt.